Our 2017 offering for Christmas specially commissioned from artist Richard Marsh. Each pack of ten cards and envelopes contains five of each design. The greeting inside is in English and Welsh. 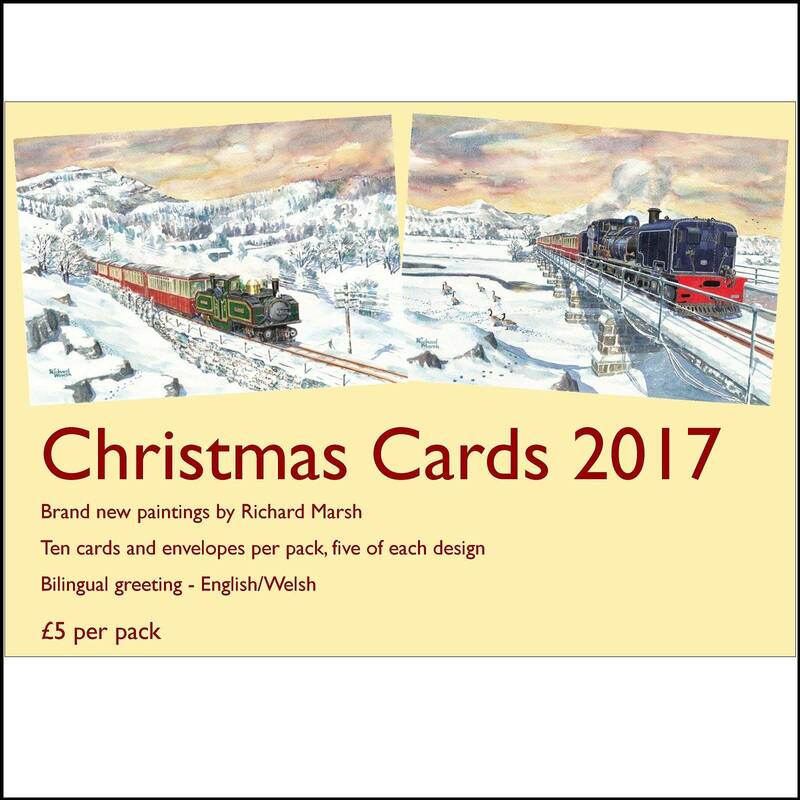 One card shows Earl of Merioneth in the snow on 100mph straight and the other shows Garratt 87 hauling a train in the snow across Pont Croesor bridge.